High pressure solid core laminate doors are widely specified for use in interior commercial applications. 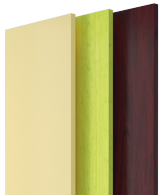 Our Wilsonart plastic laminate doors include options for wood grain and solid color finishes. These solid core plastic laminate doors include high pressure plastic laminate faces and edge banding. Wilsonart plastic high pressure laminate doors are available in custom sizes with fire ratings up to 90 minutes. Choose from solid colors, wood grains, abstracts and patterns. 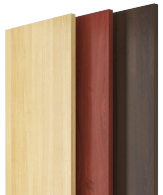 Wood grain Wilsonart® plastic laminate doors. 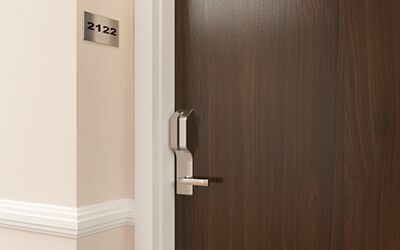 Solid color Wilsonart® high pressure laminate doors.